When your software keeps techs in the field connected; speed, reliability and uptime are imperative. At Bella FSM, we provide SaaS for the field service industry. Think HVAC, construction, cleaning services, equipment maintenance and more – any company that has techs in the field. These companies rely on our software to run business operations from beginning to end, including work order management, customer management, scheduling, dispatch, eSignature, invoicing, accounting and a host of other functions. And we’re 100 percent web-based and mobile. When we started Bella FSM seven years ago, leveraging Rackspace managed hosting was a no-brainer. Why? Two words: Fanatical Support. 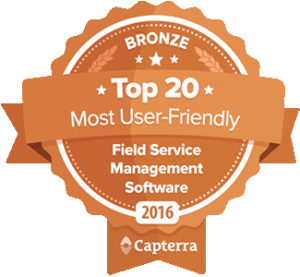 "Utilizing Bella field service software increased our client satisfaction, field communication and overall productivity. The implementation process is simple, easy to learn, and user friendly." "Not only is the software completely user friendly, the program is adaptable and versatile, and by far some of the best customer service I have ever encountered"
"Within the first two months we increased our first call resolutions by 25%." We are currently offering a "Waive the set up fee" special offer for customers who Subscribe now without a Free Trial. How about a Free Trial? Sign up today for a no obligation Free Trial with full access to all features.